Lawmakers, attorneys general, and others are ready to launch formal responses once FCC's recent repeal decision publishes. After what seems like a month long diet of butter and sugar, it's time to return to reality... the reality before the final two weeks of the year. In our last episode, the FCC had just voted, along strict party lines, to abandon the Net neutrality rules put into play by the Obama Administration in 2015 and approved by the courts in 2016. This action, which moves the Internet from utility-like regulation to a much less rigid regulatory structure, would allow ISPs to block access to content, slow down service delivery, and offer paid prioritization of traffic, among other things. 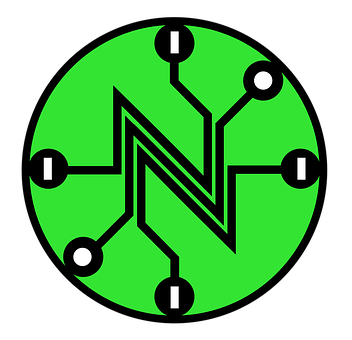 The biggest beneficiaries of the FCC's December 2017 decision are the largest ISPs and entities such as the powerful lobbying groups and providers of underlying technologies supporting them. The losers are largely everyone else (read today's No Jitter post, "Seeking the Middle Ground on Net Neutrality," for perspective from UC consultant J.R. Simmons). Nonetheless, recognizing the potential damage this decision could inflict on consumers from the largest enterprises to individuals, attorneys general from many states (the number increases by the day), led by New York's AG Eric Schneiderman, are preparing to launch a legal response as soon as the final rules -- expected soon -- are published either by the FCC or in the Federal Register. They're not alone. Enterprises concerned about the blocking and throttling are preparing to take action, as are organizations like Free Press, which advocates for a free and open Internet and freedom of the press, along with some large content producers. While FCC commissioners voted strictly along party lines, many, many Republicans and conservatives oppose the reversal decision. As previously cited in The Washington Post, 83% of Americans, including three out of four Republicans, oppose the FCC's action regarding the abandonment of the current regulatory structure. Recognizing the unpopularity of the FCC's decision, some lawmakers, in addition to the attorneys general, have stepped up to try to take the lead (particularly since, although it may seem that way now, the 2018 elections aren't really that far away). Rep. Marsha Blackburn (R., Tenn.), for example, has prepared her own legislation, called the Open Internet Preservation Act. This proposed legislation would restore two of the most important elements of the FCC's Net neutrality rules -- the ban on website blocking and the ban on throttling, or slowing of websites -- while requiring the same public disclosure statements (think small print on mobile device agreements and you're likely in the right place). More importantly, however, Rep. Blackburn's bill would allow continued regulation of Internet access as an "information service" (lightly) rather than the telecommunications service (with utility-like regulatory oversight and enforcement) that it actually is. Her bill would also permit the paid prioritization provision, under which (with apologies to George Orwell) some traffic will be more equal than others, to stand. Paid prioritization is a political hot button; this is why Rep. Blackburn chose not to include it in her bill, which she has carefully constructed around elements for which there is bipartisan support. The bill is still in its infancy, but the speed with which it was prepared should indicate to all that this is a time-sensitive and important issue. One of the most significant legal issues around the Net neutrality decision is the extent to which the FCC reviewed the 22 million comments submitted prior to its vote. In fact, N.Y.'s Schneiderman has been so concerned about the large number of fake comments that his office has set up a website for individuals concerned that such comments were submitted in their names. Having submitted one comment, on Nov. 22, 2017, I did check the site and found my comment posted as written -- as well as multiple comments containing identical wording written by a number of other "Marthas." Many of these comments dated from July, but the identical wording, along with a huge number of those submitted from "suspect" email addresses, suggests significant fraud (according to multiple sources, no fewer than two million fake comments). Rather than venture into the mess of these mass comments, some or all of the sitting commissioners chose not to review those comments at all, in what may be a direct violation of the Administrative Procedure Act of 1946 (Pub. L. 79-404, 60 Stat. 237), which prevents federal agencies from making decisions deemed to be "arbitrary and capricious," and thus vulnerable to legal challenge. The commissioners' decision not to consider outside input, particularly in regard to approximately 20 million comments, does create -- at a minimum -- a legal issue the could easily be challenged in court. When considered with the other avenues of legal challenge, those who seek to impede or block the FCC's December action have a number of options. The issue is that court challenges take time, and barring an injunction blocking the FCC's recent action, changes could come as soon as the timing "shot clock" has run. The length of this shot clock window will be defined as part of the published order, and good guesstimate might be 60 days from the date of publication... but that's nothing more than speculation. It's too early to tell. What it's not too early to do is to contact your federal representatives. I've called my Congressman (repeatedly, but nicely) to express my concern on this issue. Although I don't think he really knows anything about Net neutrality, he's come out on the other side of the issue, and I don't want him ever to say that he didn't hear from constituents on it. If this is important to you, make that call.